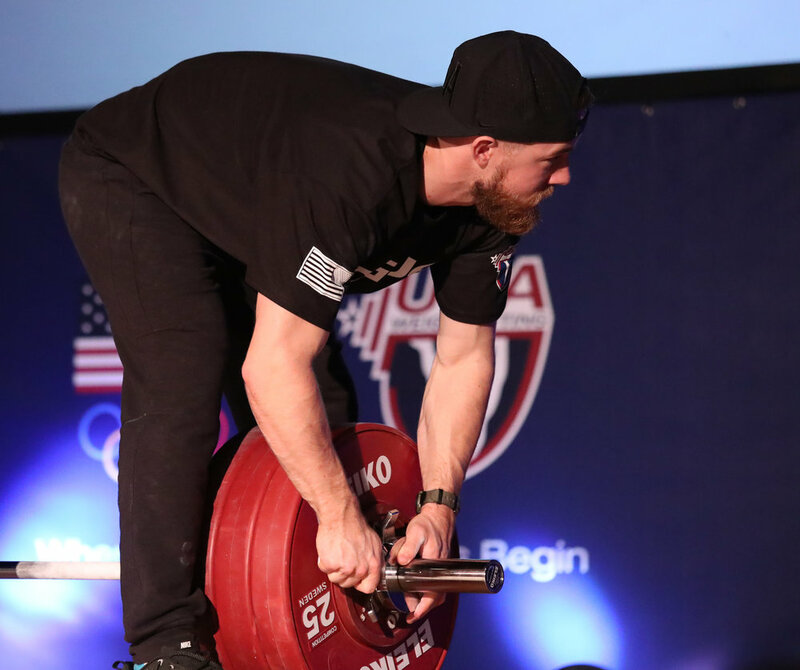 If you've been following Everyday Lifters you know that the photos and content regarding the sport of Olympic Weigthlifting is not traditional. Stories are shared and small moments in the sport is what gets highlighted. So, let's get right to it. This moment here is why I go these events. I get to meet and talk to people about weightlifting! So cool! The group here were supporting their friends from Lindenwood Weightlifting. Probably the loudest group in the audience. Very friendly and a pleasure to talk to. When I attend these events I try to take pictures of the details that can get missed. The staff members are always a favorite to photograph. But the shadows, colors, bows can't be ignored. Having arrived Saturday, I missed Friday’s session. However, I got to stay for Sunday’s session which I had missed at the American Open. Needed to show love for the Sunday weightlifters. 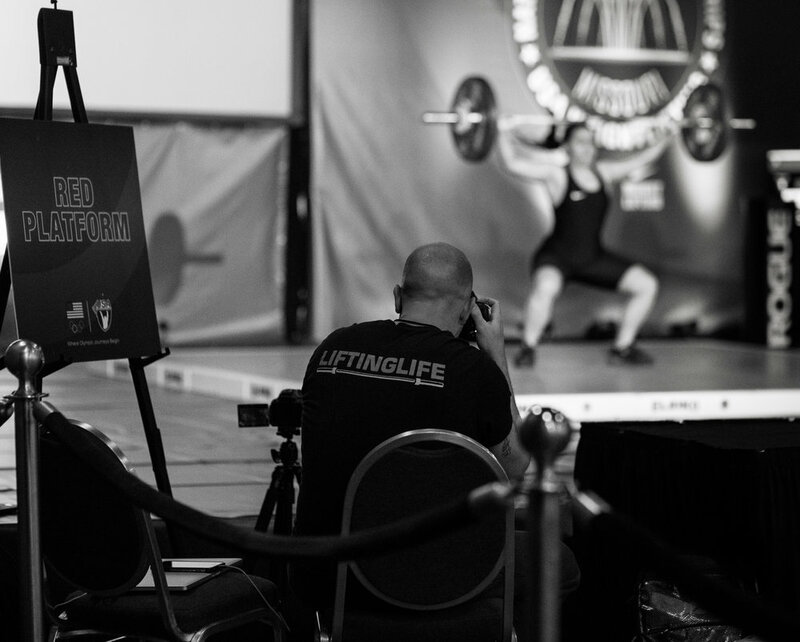 If you watched the live stream that USA Weightlifting provided, any cheering you heard probably came from the folks over at LU Weightlifting. The amount of support from family and friends was incredible. I got a chance to talk to the Head Coach Jianping Ma. Passionate about the sport of weightlifting, he explained that they offer scholarships to students that are interested on being on their team. 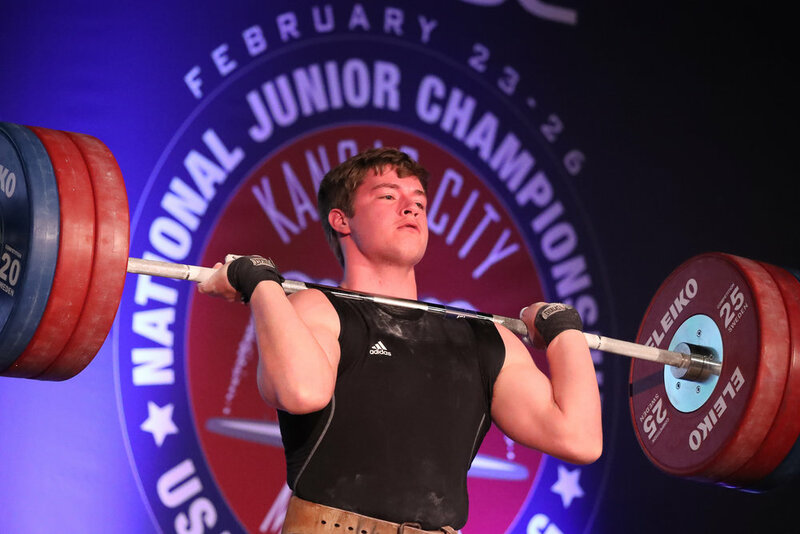 For more information, please visit the Lindenwood Weightlifting. “I will say my coach has to be one of the best and can be overlooked with all these “big names” but he has developed lifters the made exponential progress with him and have not done as well with other coaches. 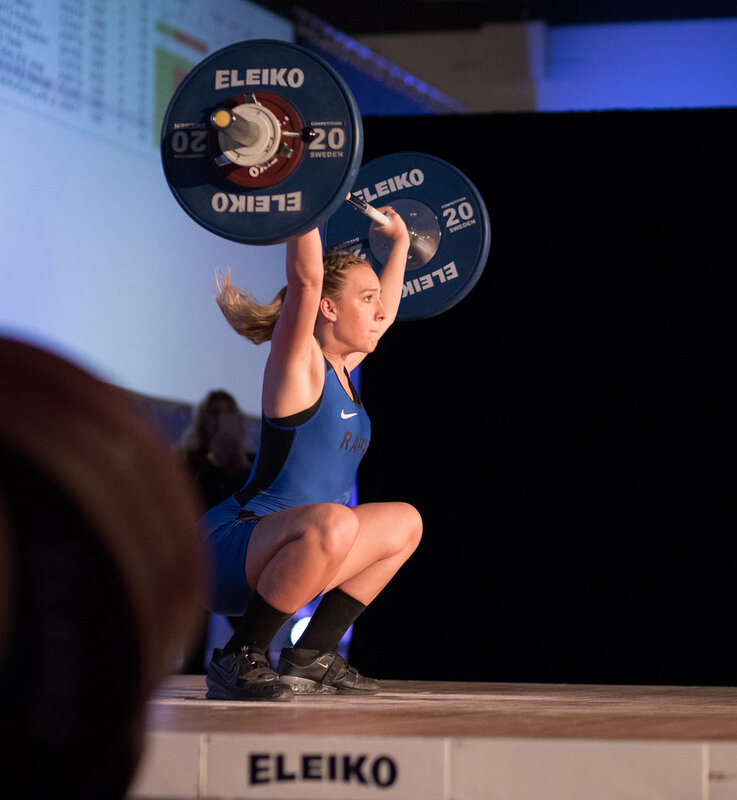 With this being my second meet ever and having only done Olympic lifting for 7 months now it was an indescribable experience." -Hunter Check out their Facebook page! Next we have Jude’s son, Nathan. So proud of his son on how much he's learned. We talked for a bit and he described how weightlifting has helped Nathan with staying focused and he’s looking forward to all the growing and learning he will do this year. I promised dad a video and totally missed it. :/ However, managed to make a little clip of sequenced photos. Next time Nathan.. promise! Feeling every bit of this lift here. I have to stop cheering while recording because all you hear is my voice. Ha! I sent this video to his dad. Rey's father paced around the platform in the hopes to find a good spot to record his son's lifts. After Rey missed some of his lifts, you can tell that if Dad could, he'd lift the barbell for him. Rey went on to complete the clean and jerk in the video below. We were all rooting for you Rey!! Strange obsession with taking photos of the equipment at big events. I have no idea why. It's a Viv thing, so let me be. I had a chance to pick up a Rogue Barbell and did some light jerks. I liked the way it felt in my hands. However, the pattern knurling was a bit on the softer side for me. I do prefer it better on the Eleiko Barbell. I am also not a professional weightlifter and it's possible I have no idea what I am talking about. hahahaha! But I do know there will be more to come from Rogue. Eleiko Equipment used on the competition platforms. That's a wrap!! Met weightlifters, hugged families, took photos and video. Learned a great deal and looking forward to the next! I hope to expand on taking videos and interacting more with the audience. Happy lifting from all you and until next time. Continue with the emails, DM and comments on social media. I really do follow you guys and check in to see how training is going. Before I go.. some videos from the EDL's Instagram account! There are so many more... go on over to check them out @everyday-lifters. Most importantly, stop on by to these weightlifters accounts and show them some love!